Rodent attacks both mice and rats regularly bite people, especially where rodent populations are high. Loss and destruction of food. Gnawing damage to wires, sheetrock, furniture, insulation, irrigation systems, asphalt, water pipes, structural supports timbers. Rodents are a food source for many animals like snakes, raccoons, dogs, cats, foxes which also can find entry in your home. Roof rats/black rat- medium sleek in size, with large ears, tail is longer than its body, pointed nose, color black to brown, prefers elevated areas to nest, they move slow and are good climbers. 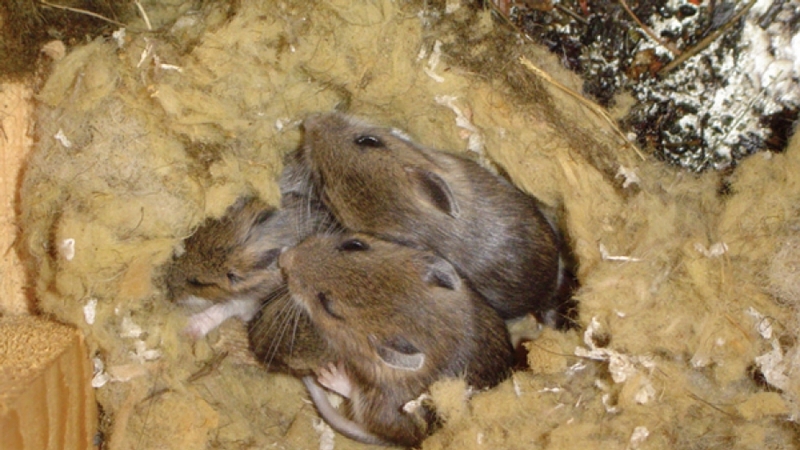 Norway rats-large robust size, with small ears, tail is short, blunt nose, color varies from gray, reddish brown to blackish , prefers to nest in underground burrows, move slowly, not so good at climbing prefers to move on flat surfaces. House mouse-small in size, with large ears and small feet, similar to a young rat but the difference being that a rat has large feet and a large head, mice can nest from low to elevated areas, they move fast are excellent climbers can scale walls, pipes, wires and ropes. Rodent proof (exclusion)-seal off all openings to the structure. Exterior area-clean out thick vegetation growth, firewood and other areas that can provide harborage, food, and cover from predators. Snap traps-appropriate for situations where the rodenticides is unwarranted. Live traps-used to catch multiple rodents in 1 trap. Glue traps-great for not only catching rodents, but monitoring for insects. Ultrasonic devices-not very effective and cost effective. Electro magnetic devises-no scientific evidence shows these devices work. Rodenticides-can be very effective, but problems can occur if the rodent dies in an area you cant reach to remove it, toxicity around children and pets, 2nd hand kill where a cat or dog eats the dead rodent and carries the rodenticide. Chemical repellents-not effective, no data exists. If you have rats or mice in your home you need to know what signs they leave, what problems they cause and how to get rid of them humanely.